OUR PRICE: $7.51 - Join Rewards Get $1 Dance Dollars On This Item! Experience a new kind of footwear. 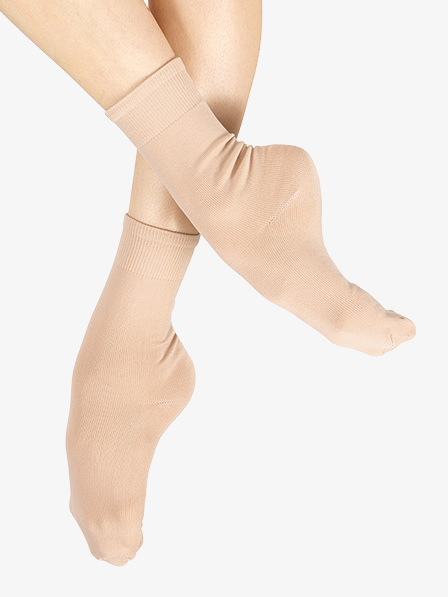 Designed by dancers for dancers, the industry�s #1 dance sock features barely-there, lightweight fabric that allows the foot to breathe, prevents unwanted blisters and cuts, and keeps your toes from sticking to the floor for flawless turns. 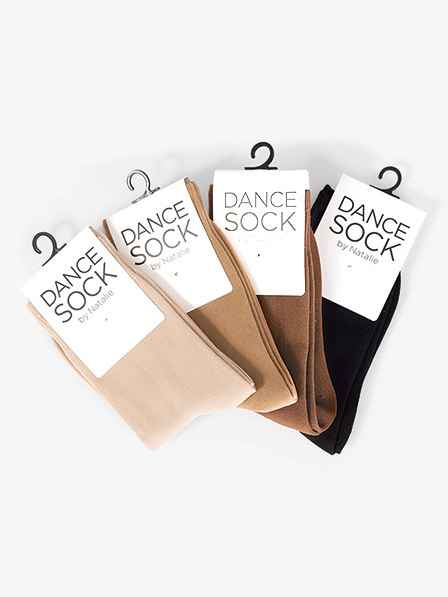 Its seamless construction and light compression creates beautiful clean lines, and makes it perfect for wearing alone or under shoes without any slipping or bunching. Also perfect for classes, conventions, or warming up the feet before class. Now available in four beautiful trending neutrals.